Recently, I had the pleasure of taking part in a webinar hosted by Everyday Ambassador, a consulting firm that brings the principles of connection to individuals, schools, and organizations involved in volunteering, travel, and study abroad. Watch the video of our full conversation. How can you achieve organizational excellence for a sustained period of time? I share my thoughts in this new video interview published by the Association for Talent Development. 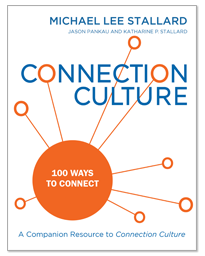 Learn more about my latest book, Connection Culture: The Competitive Advantage of Shared Identity, Empathy, and Understanding at Work, available April 30, 2015. What’s the difference between a manager and a leader? I share my thoughts in this new video interview published by the Association for Talent Development. 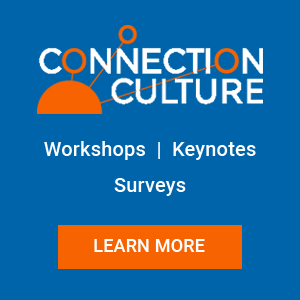 Learn more about my latest book, Connection Culture: The Competitive Advantage of Shared Identity, Empathy, and Understanding at Work, available April 30, 2015. What makes a Connection Culture unique? I share my thoughts in this new video interview published by the Association for Talent Development. 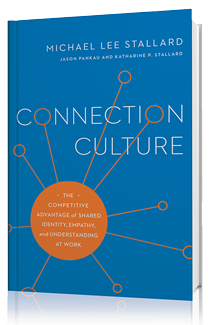 Learn more about my latest book, Connection Culture: The Competitive Advantage of Shared Identity, Empathy, and Understanding at Work, available April 30, 2015.